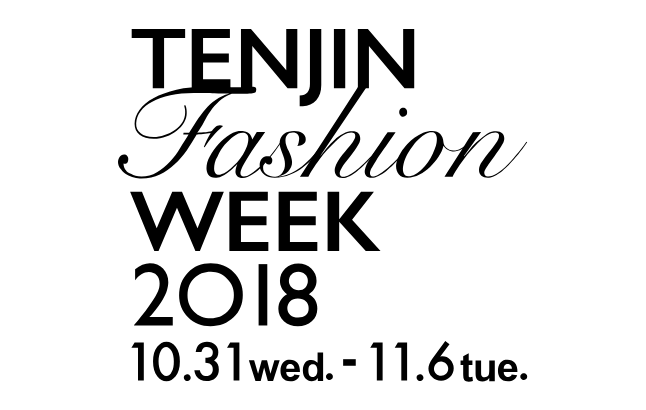 At the TENJIN FASHION SHOW, to be held from October 31 (Wed) to November 6 (Tue), we will be holding “Asia Millennial Designers Fashion Show” to showcase Asia’s next generation of designers. Participating in the show will be two brands from Taiwanー CHERNG and TRAN, and two designers based in Fukuokaー Arnev and Quantize. It’s a great opportunity to get a taste of Asian fashion. Also, “Meeting Place for Fashionista in TENJIN” will be a place to create business opportunities and network. Attending this mixer will be people involved in the fashion industry both from and outside Taiwan and Fukuoka. We hope you participate. Advanced reservations are required for the mixer. * Applications are accepted on a first come, first come basis. No further reservations will be accepted once all spots are full.